Hi friends. 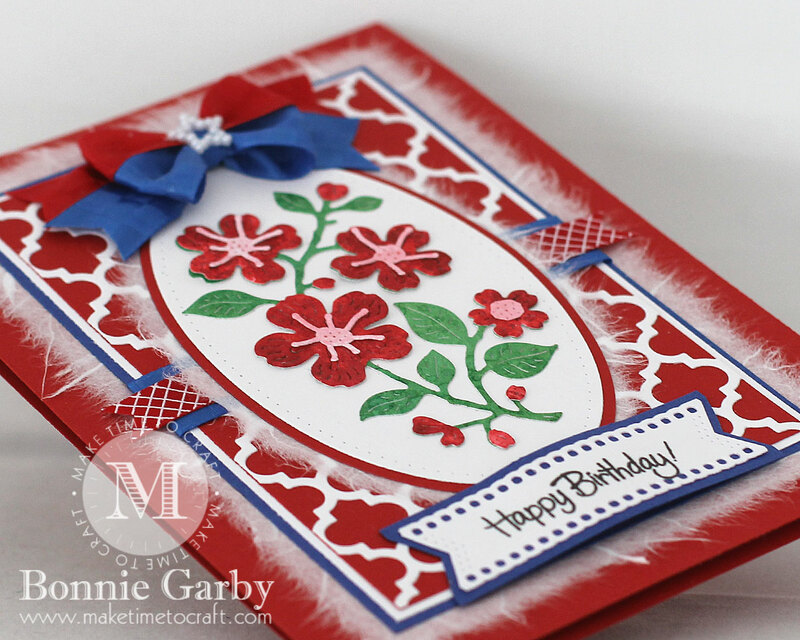 Today I’m sharing a bright and pretty floral birthday card I created with the lovely Cherry Blossom die from Cheery Lynn Designs and pretty ribbon from the May Ribbon Club Assortment from Really Reasonable Ribbon. I’m so ready from summer right now and there’s nothing like a red, white and blue color palette to scream summer. This color scheme works really well with the Cherry Blossom die, so I went with it. I cut the Cherry Blossom die in green, red and pink Distress ink paper. I used the green as my base and then fussy cut the flowers in red and then the flower centers in pink and layered them to create the flower for the center medallion. 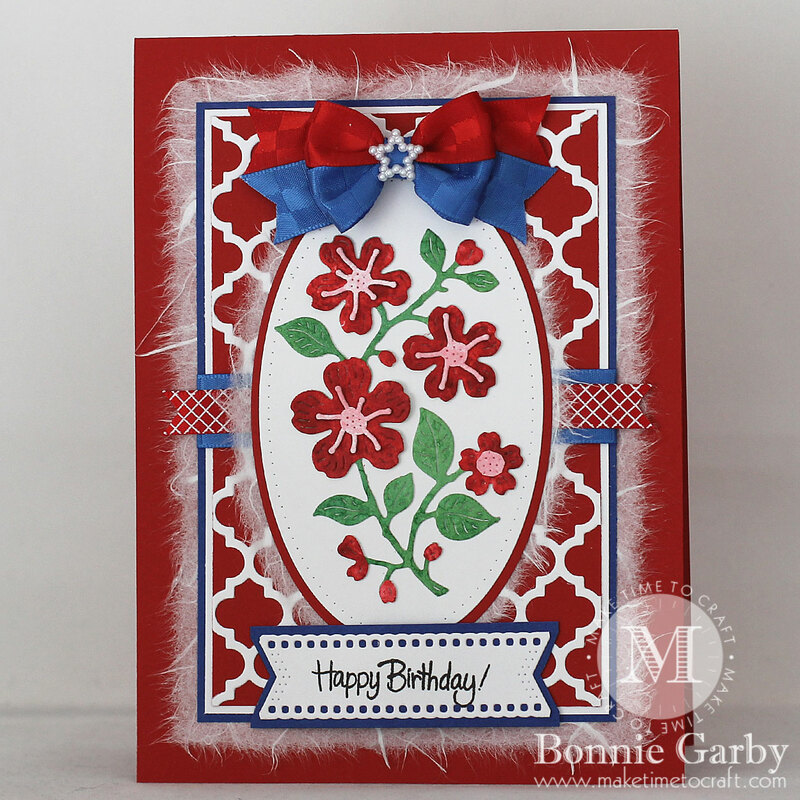 The background was created with the pretty Quatrefoil A2 frame 1 die which I also adore. My card is finished off with a pretty bi-color bow created on my Bow-it-All V3.0 using ribbon from the Patriotic themed May Ribbon Club Assortment from Really Reasonable Ribbon. The center of the bow is adorned with a Star Shaped Pearl Embellishment. This is so very beautiful in every way. I love all the layers, the pretty floral design and of course the gorgeous ribbon bow. So Cute! 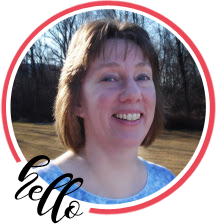 Thanks for sharing at Craftaholics R Us. Beautiful Card… Love mulberry look on this …Thanxx For Sharing With Us At Jo’s Scrapshack ..
What a gorgeous card!! Love the pretty bow ! Thanks for joining us at DCD this week! LOVE your floral panel, pretty layers & colours, the mulberry paper finishes it off perfectly! Such a pretty card! Thank you for sharing your talent with us in the Craftaholics R Us Challenge! 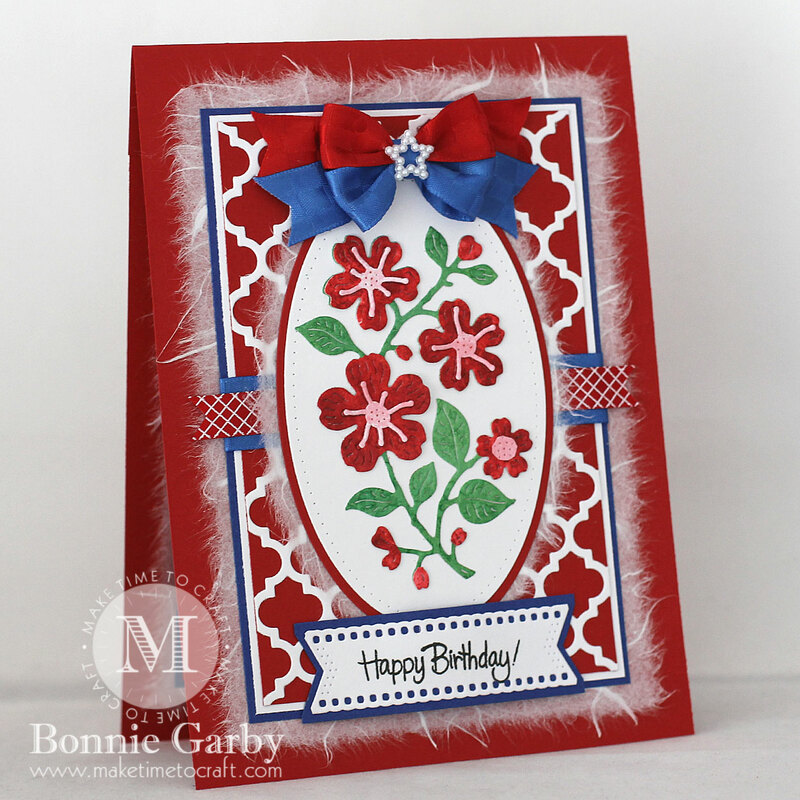 Great dimension and texture on this very pretty card Bonnie. Glad you stopped by at 613 Avenue Create. I love your beautiful card. The colors are lovely and all of the pretty layers. Thanks for playing along with us ScrapyLand. 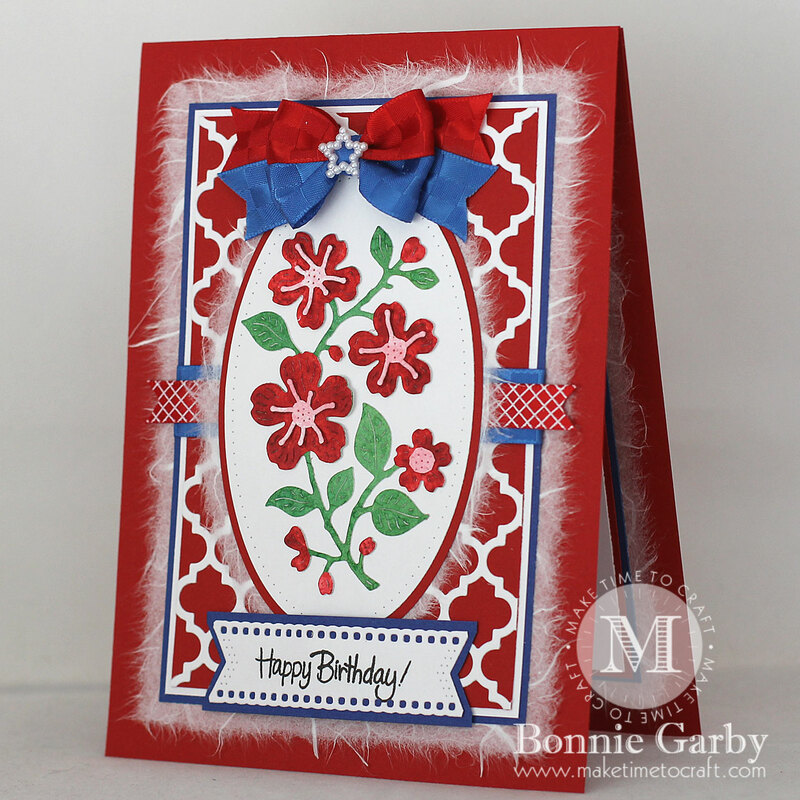 Fab card, thanks so much for entering our challenge over at the Crafty Addicts!